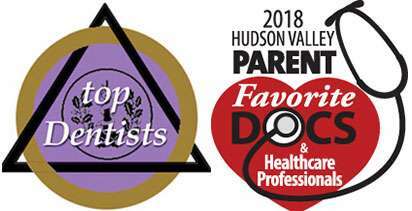 At Hudson Valley Pediatric Dentistry, we can perform a root canal or endodontic treatment in order to remove infections and save our patients' teeth. Dr. Geri-Lynn Waldman and Dr. Isha Suri, can complete the procedure while keeping patients completely comfortable. Root canals are a common procedure. In fact, the American Association of Endodontists finds that millions of root canals are performed each year. As a result, the need to pull infected teeth is greatly reduced. A root canal or endodontic procedure involves creating a small hole in the tooth for all of the infected areas to be removed. During the procedure, the dental pulp and roots of the tooth are removed. The roots of the tooth are only necessary for the tooth to grow in properly. Once it has fully matured, removing the roots will not directly harm the tooth and can prevent the further spread of infection. When it is necessary to remove the roots, we promptly do so. Next, we will clean the area to ensure that the infection is gone. Dr. Geri-Lynn Waldman and Dr. Isha Suri, will typically prescribe antibiotics as well. This ensures that any lingering infection is eliminated. In order to complete the root canal, we will seal up the hole with something called gutta-percha. This is a rubber-like substance that can help to stabilize the tooth, now that a portion is missing. 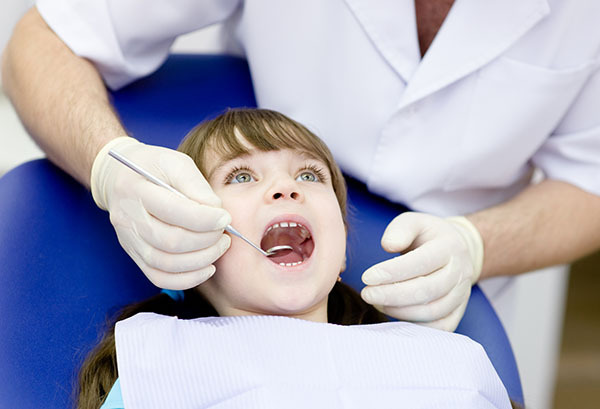 At Hudson Valley Pediatric Dentistry, we will then use a filling or crown in order to further strengthen and protect the damaged tooth. Both fillings and crowns can now be created in a tooth-color. 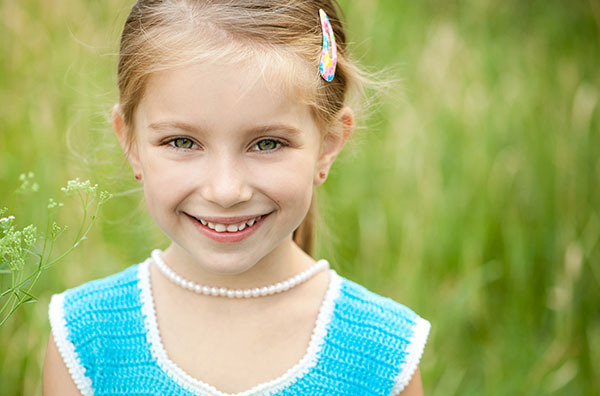 Regardless of where your child's infected tooth is located, a crown can blend in seamlessly with the surrounding teeth. Patients throughout the Middletown area appreciate how natural their tooth looks once the procedure is complete. 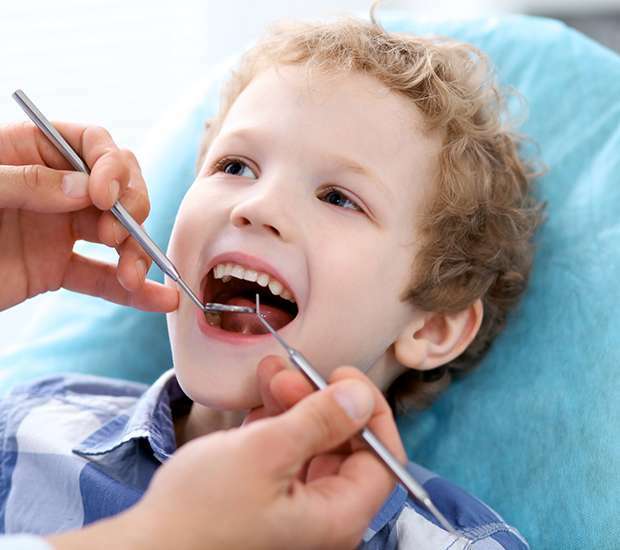 If you live in Middletown, NY, you should schedule an appointment with Dr. Geri-Lynn Waldman and Dr. Isha Suri, to discuss the health of your child's teeth, any problems that your child may be having and what should be done to heal the tooth. If it appears that a root canal is the best option, we will make this recommendation. If not, we will present a treatment solution that will solve your child's health issue. Overall, a root canal or endodontics treatment is extremely effective for saving damaged teeth by removing any infection that might be there. This single treatment makes it possible for millions of teeth to be saved on an annual basis. Once it is completed, eating and drinking becomes easy again. We help patients throughout New York feel comfortable during their root canal or endodontics procedure by using sedation dentistry. We have a variety of ways to eliminate both discomfort and anxiety during a root canal. Whether a patient needs to take something ahead of time to relax or needs medication to numb the specific area that is being worked on, Dr. Geri-Lynn Waldman and Dr. Isha Suri, can complete the procedure with little to no pain. We will ensure that patients are able to enjoy their dental treatments as much as possible. In the past, many people would need to have their teeth pulled if they became severely infected or the dental pulp became inflamed. Now, those same teeth can be saved by performing a root canal. The root canal is a far better option since it keeps the natural tooth in place. The shape of the face also depends on the teeth. The more teeth that are pulled, the greater chance the face will start to sag. While this is not particularly common with the loss of one tooth, it is more common when several become infected and fall out. By treating and saving an infected tooth, Dr. Geri-Lynn Waldman and Dr. Isha Suri, is helping to preserve our patients' facial structure. The root canal is a far better option since it keeps the natural tooth in place. The shape of the face also depends on the teeth. The more teeth that are pulled, the more likely the face will start to sag. While this isn't particularly common with the loss of one tooth, it is more common when several become infected and fall out. By treating and saving an infected tooth, Dr. Geri-Lynn Waldman and Dr. Isha Suri, can preserve the facial structure. Following the root canal, once the infection is gone and the tooth is strengthened, the tooth will behave like it used to. Thanks to this procedure, a patient will be able to bite down with normal force, chew and maintain activities without worry. This helps patients throughout Middletown return to their busy schedules and everyday life. Alternatively, without a root canal or endodontics procedure completed, the infected tooth will likely need to be pulled. This is essential for preventing the spread of infection. Once the tooth is removed, it will need to be replaced. The options for doing so include getting a dental bridge. These are all viable solutions that take additional time. The recovery period is longer since the procedures will take several steps. 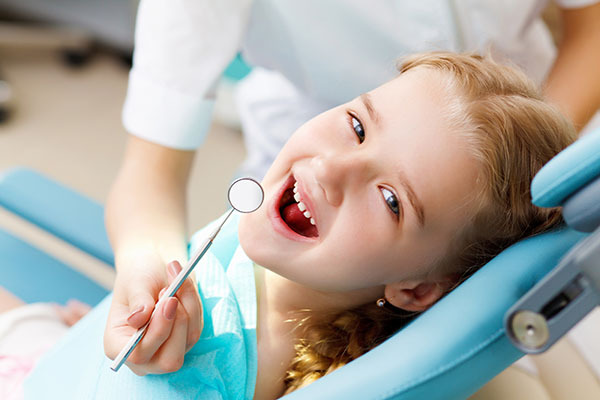 Therefore, the easiest and most straightforward solution is to have Dr. Geri-Lynn Waldman and Dr. Isha Suri, save your child's tooth by performing a root canal or endodontics procedure. To learn more about this option call Hudson Valley Pediatric Dentistry, at (845) 363-4177 and schedule an appointment. Middletown, NY Need a Root Canal? Tooth Extraction?